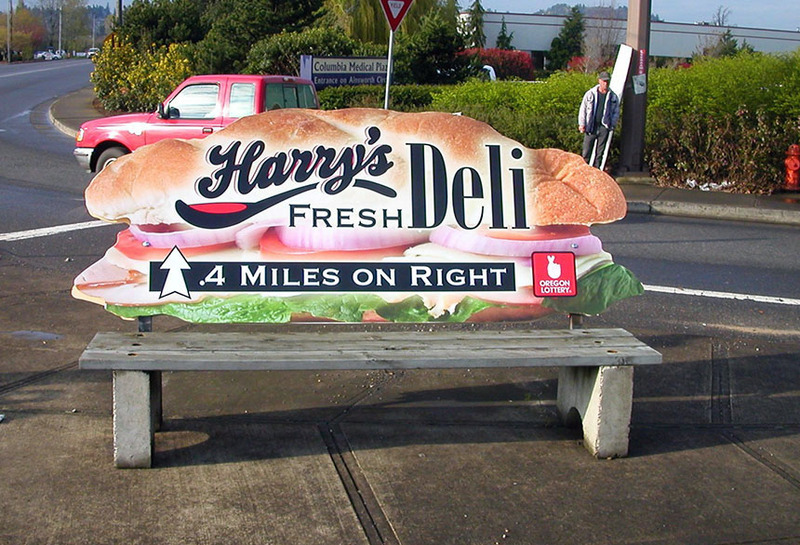 Harry’s Fresh Deli used Lamar bus bench advertisements in Portland, OR. Bus benches are located along busy streets in major metropolitan areas which ensure a high vehicle and pedestrian viewership. This creative in particular used bus bench extensions in order to attract potential customers.